Colorful & Creative Woodwork from Upcycled Unused Goods. 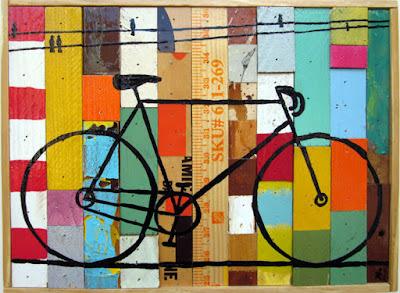 Wood & Objects Found & Organized in Clever, Artful Ways. For Painter, Woodworker and Creative Upcylcer Brian Phillips, Art is all about having fun! 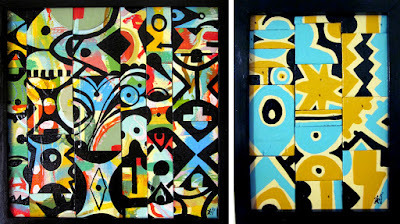 He is intent on work that is as energizing to create as it is engaging for viewers to enjoy. He often speaks of a desire to be inclusive with pieces that anyone and everyone can embrace. There is wonderful harmony between his philosophy and his technique because he primarily uses found objects that have been forgotten, giving them a second life. He collects these lost “treasures” so when he gets to work his pieces can include a range of odds and ends in something even more fabulous than they were before. 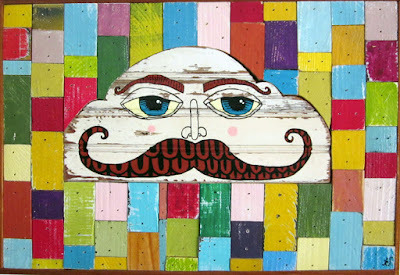 Salvaged wood is his main medium, but he also brings in license plates, rulers, crates, cans and more. 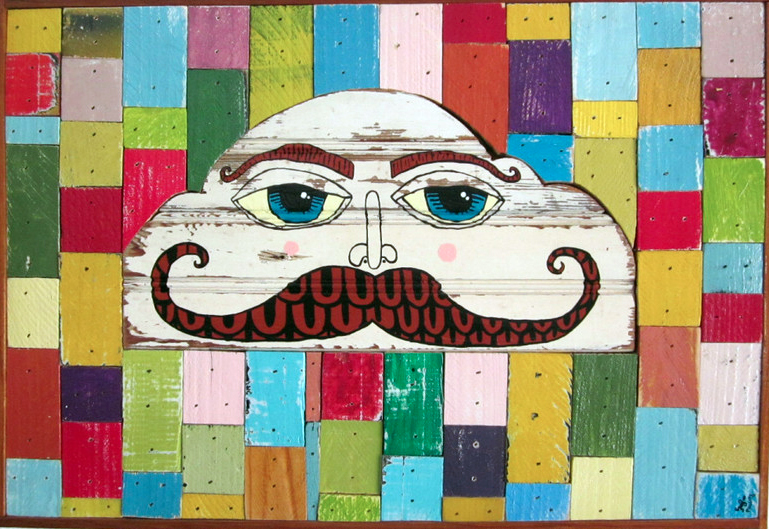 Technically speaking, his focus is first on building a “canvas" through upcycling. 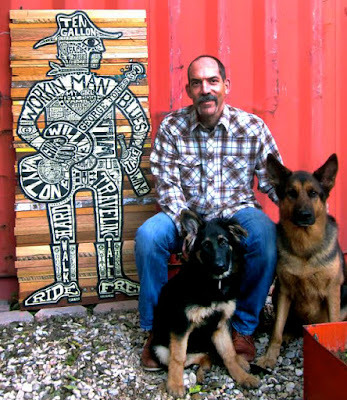 Each work is one-of-a-kind, not just because he loves to explore the boundaries of what he can create, but also due to the diverse nature of the materials he finds. If you watched him in action, I imagine it would look a lot like putting together a puzzle without a guide aside from what he sees in his artistic mind. He strives for abstract combinations, but with balance and form. Then he adds whatever finish or flair suits his mood within the realm of vintage and weathered decor. Often that involves bright colors and sometimes even painting. 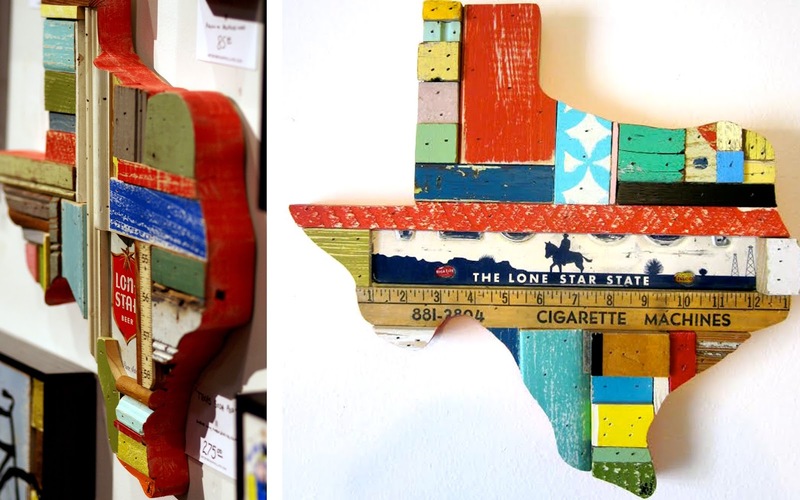 I may be biased as a proud Texan, but I am a big fan of his collection of Texas shaped pieces. Each is very unique, with a mix of materials as eclectic as the people from this great state. In part, you’re lead to wonder about the previous lives these objects may have led, but there is no doubt that they are fulfilling a wonderful second life as extraordinary artwork!